Dessert for dinner? Yes please! 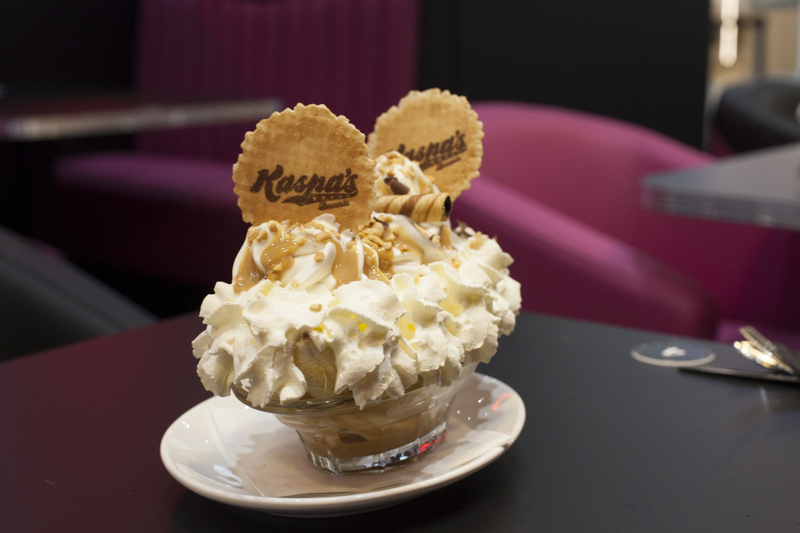 If like me you can’t say no to dessert for a dinner then Kaspa’s in Leeds hits the sweet spot. Terrible puns are included free of charge. Ok now I have your attention with a giant banana split let me tell you about this dessert house. I got a sneak peek at what they had to offer on launch night and let me tell you that you’ll be desperate to visit by the time I’m done. 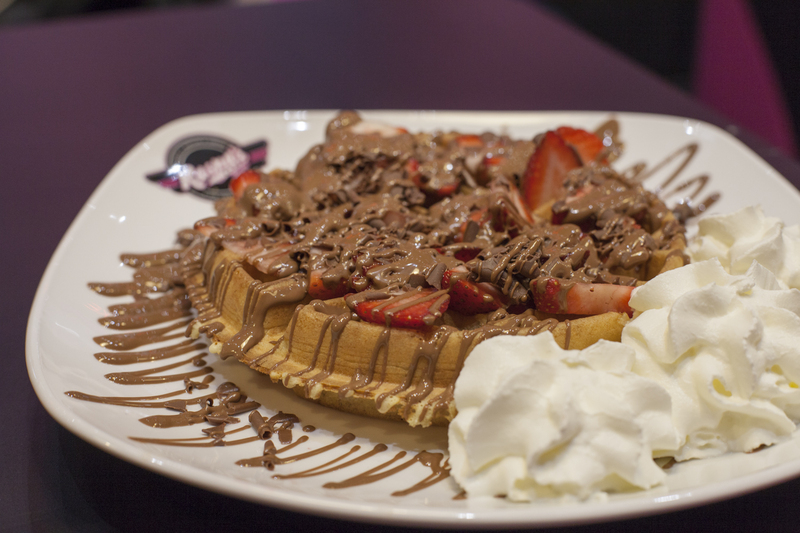 Not only do they do amazing desserts, think waffles; pancakes; exclusive gelato flavours; cookie dough and more. Basically all the best stuff. 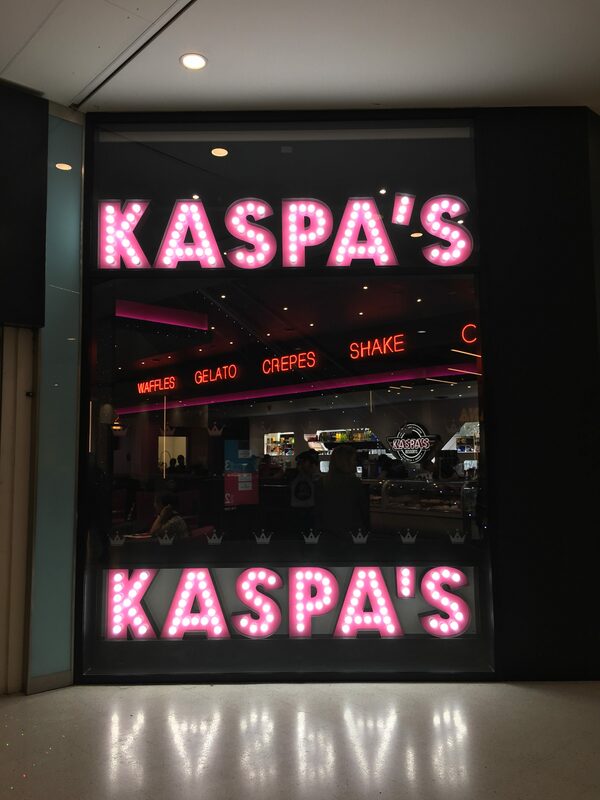 Kaspa’s is right in the centre of Leeds sat in The Core shopping centre. The Core is only 10 minutes walk from the train station, or you can park in the connected car park. Are you hungry yet? The menu is huge as are the portions, we were treated to a selection of desserts. Including that amazing banana split, a strawberry indulgence waffle and a white chocolate crepe. I want to eat that waffle right now and its 10am. Actually I can’t stop thinking about it. When I can go back? I am a woman possessed by thoughts of strawberry waffles. Kaspa’s interior is also a little dreamy. 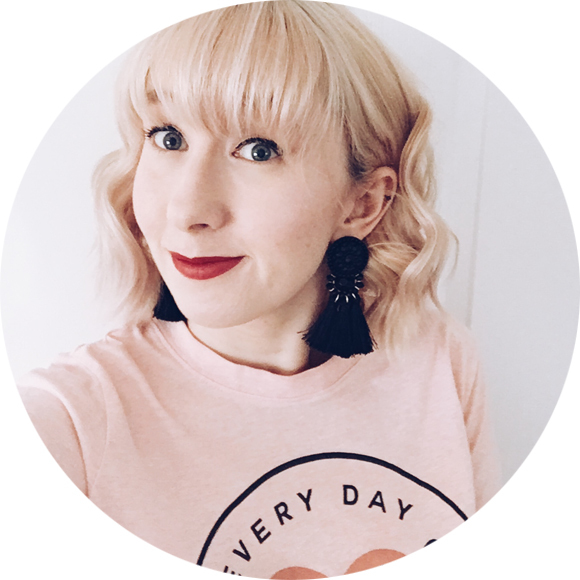 They have glittery walls and neon lights (be still my beating heart)! 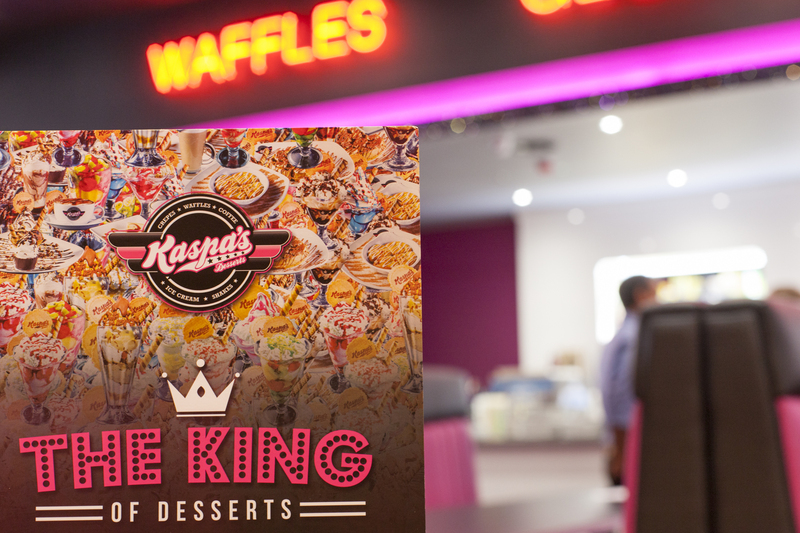 A 1960s diner style set up with bold colours and booths, makes for some awesome Instagram friendly shots. 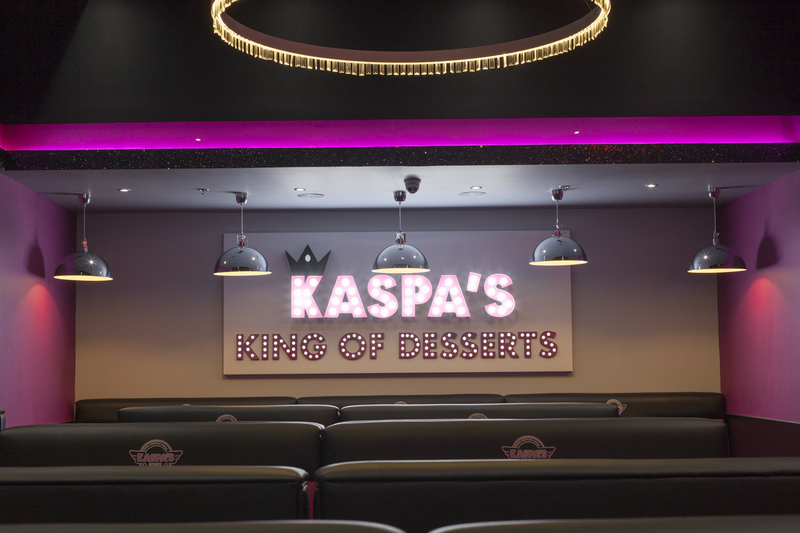 Kaspa’s also run a selfie of the week competition where you can win a free dessert! I shall repeat a FREE DESSERT! I think if you’ve got this far into this post and haven’t realised that I’d recommend that everyone stop by here, I have done something wrong. Weekend calories don’t count right? 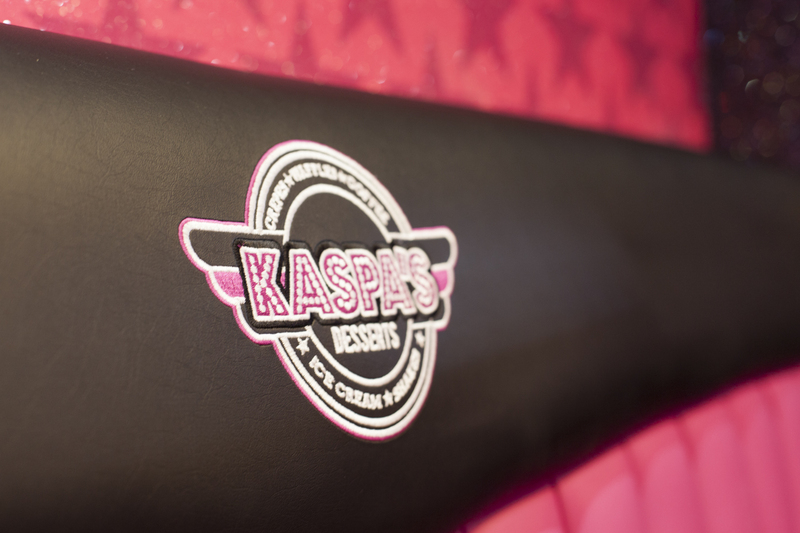 You can follow Kaspa’s on Facebook, Twitter and Instagram for all the latest offers.